BFD3 is the third generation of ***ansion's flagship software acoustic drum studio: new levels of realism and ground-breaking features in an intuitive redesigned engine. 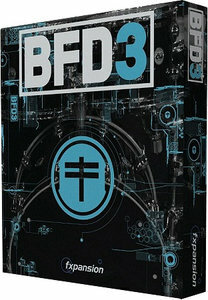 With stunning new kits with mix-ready presets and modelling technology for tom resonance and cymbal swells, BFD3's audio engine delivers uncompromising detail. The revamped interface has a new mixer and sound browser for the easiest BFD experience yet.